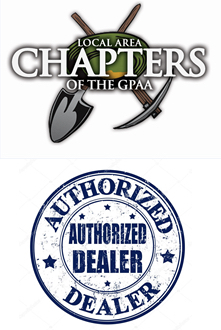 Pro Music Alaska Supports The GPAA (Gold Prospectors Association Of America)! It is all about getting families out enjoying the great outdoors and looking for GOLD! Stop By Pro Music And Take Your Membership Kit Home Today! One year membership kits are available for purchase from the Interior Alaska GPAA Chapter at Pro Music for $99.50. We also have 2 and 3 year memberships and 1, 2, and 3 year renewals available as well. Stop by today and take your kit home! For the current Interior Alaska GPAA Chapter outing schedule please stop by Pro Music at 300 Front St. or call 907-456-1994 for more information.